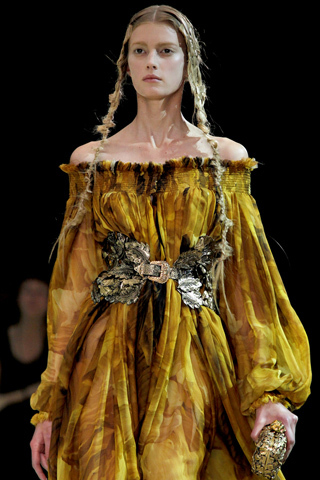 Sarah Burton as seen a new day! 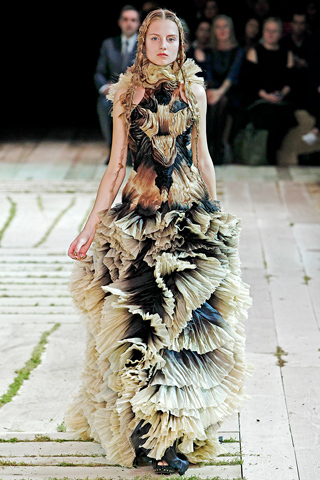 After working 14 years as assistant to Alexander McQueen, when last year he tragically took his life. 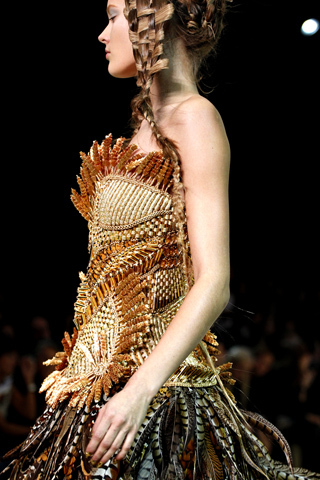 Sarah had the challenge of stepping into his shoes to continue to create stellar fashion for the company! 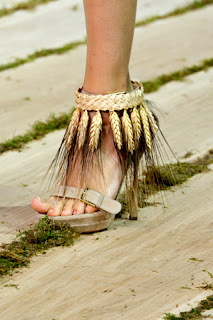 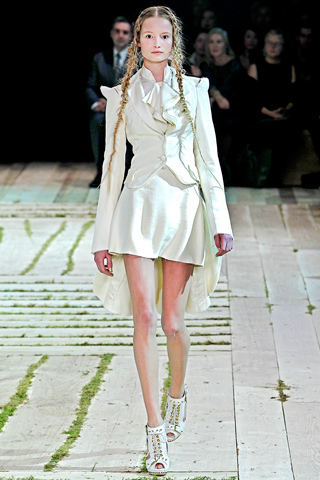 Not only did she show a new softness for McQueen, displaying incredible tailoring and structure. 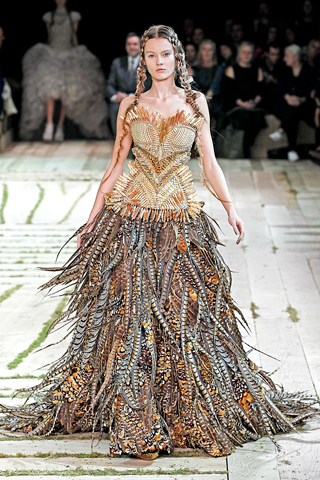 Sarah was selected as the designer for Princess Kate Middleton's bridal gown and after seeing the stunning majestic dress on Princess Kate, Sarah won't have to worry much about her success. 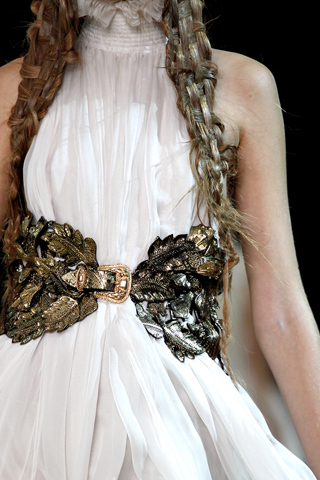 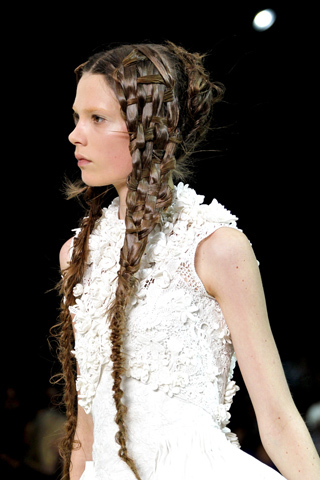 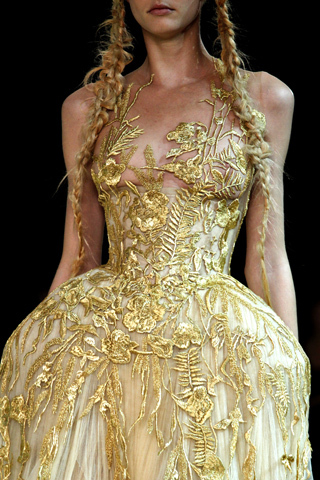 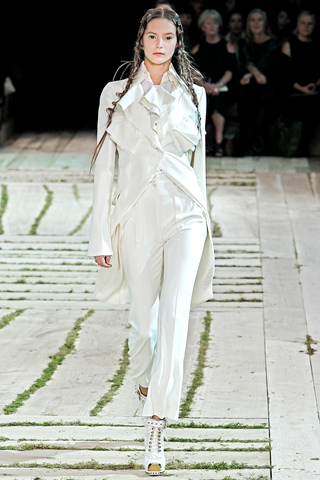 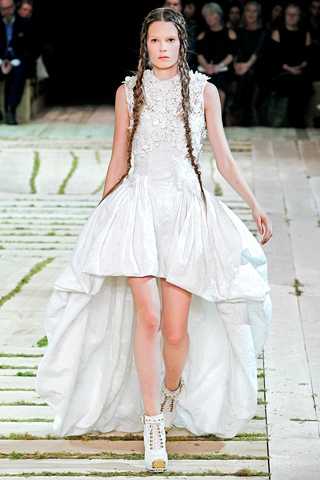 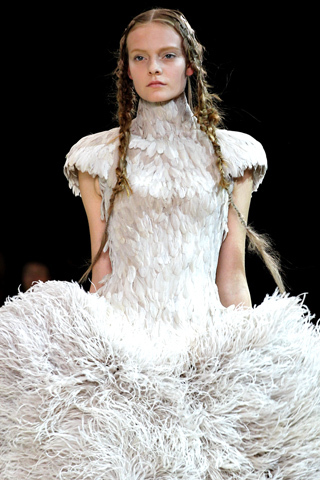 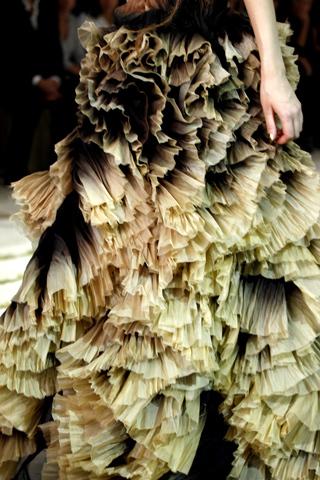 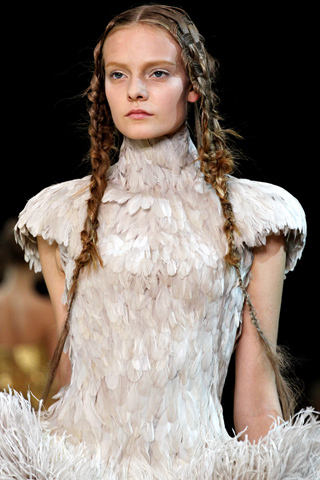 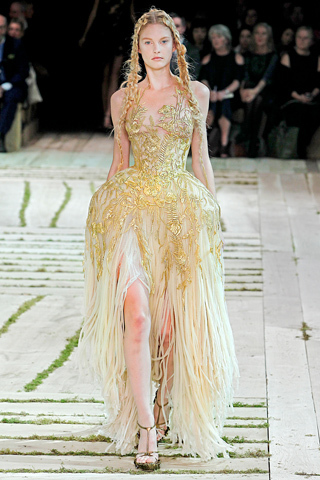 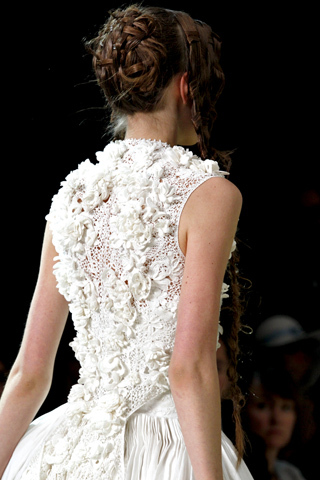 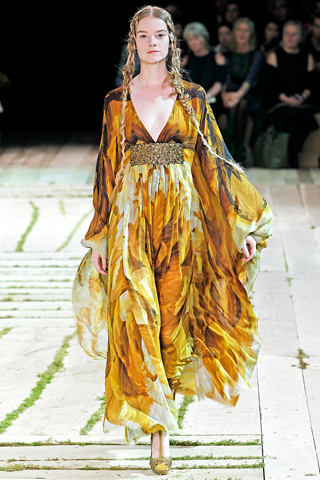 Here is Sarah for McQueen spring 2011 runway. 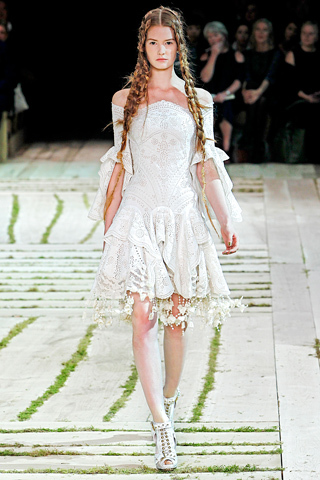 Burton drew on the power of nature as a healer:leaves and flowers, and ancient pagan English folk symbolism entwined into clothes made to lighten the mood of the past. 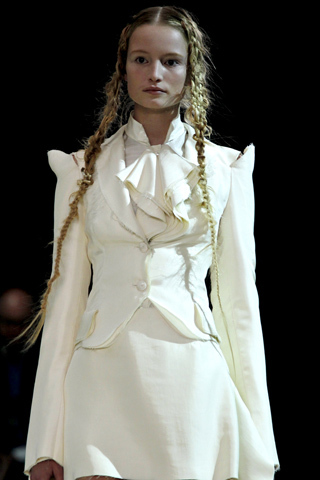 She certainly has beamed a new sun light for the Brand!